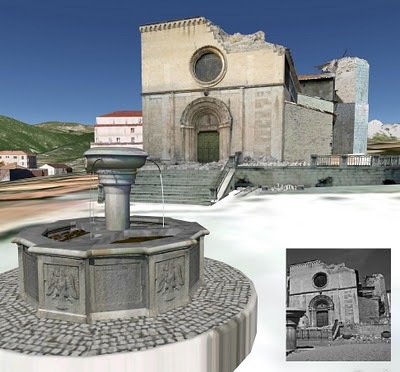 In mid-January of this year, we returned to l’Aquila, Italy to teach a Google Building Maker workshop, in further support of the post-earthquake 3D digital reconstruction effort of the city. If you are not familiar with this Google-assisted effort, you can read all about it (or just watch the video below). While we were there, we had the chance to meet many users that are actively working on the project, and see several of their amazing models. These models allow an “at-a-glance” look at the current situation of the city. Most of the models reproduce the city as it is now, including the damage to the various structures; they provide a precious resource to evaluate current and future reconstruction projects in the city. Modeling Progress: On the left are geo-models that existed before the Google workshops. On the right are models currently visible in Google Earth. 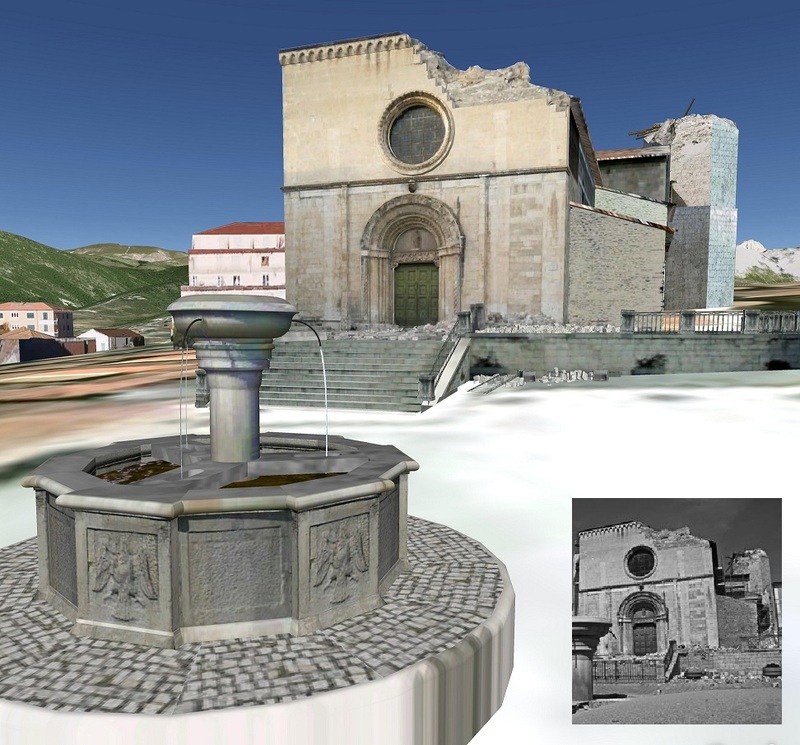 SketchUp model and picture (inset) of the S. Pietro di Coppito (XIII century) after the earthquake. 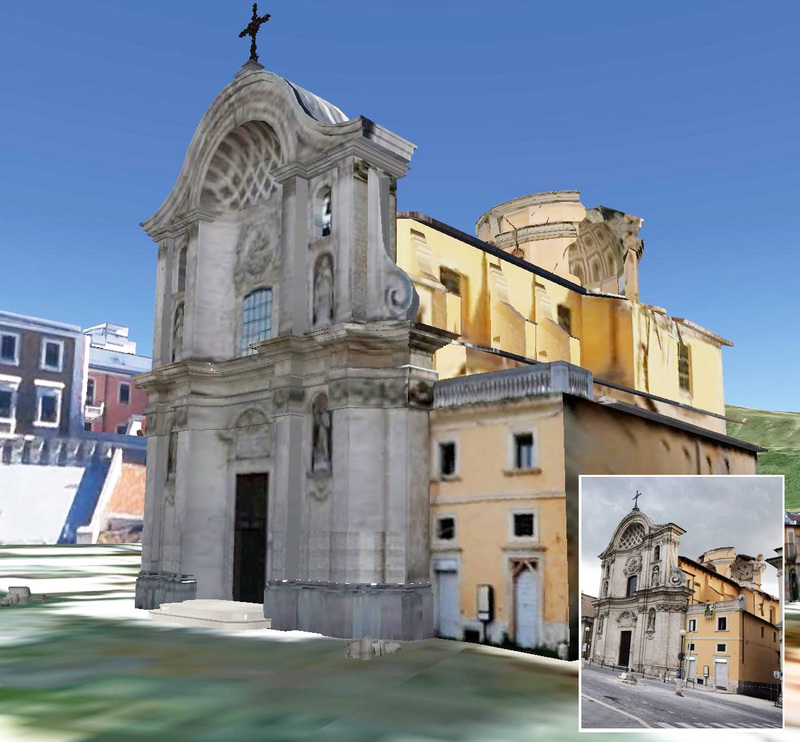 SketchUp model and picture (inset) of Santa Maria del Suffragio (XVIII century) after the earthquake. If you are interested in lending a hand, you can use Building Maker to create simple geo-models. 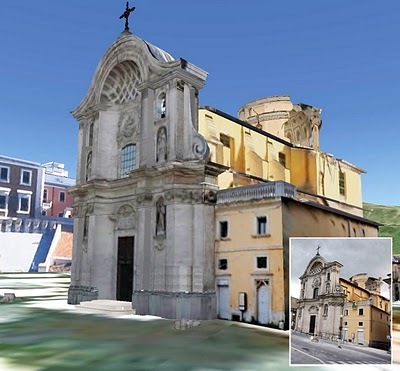 If you’d like to dive in a little deeper, you can use SketchUp in connection with the many photos and other information on the project website.